Tim Duffy's new monthly show returns this Wednesday, July 2nd at 9:00 PM! 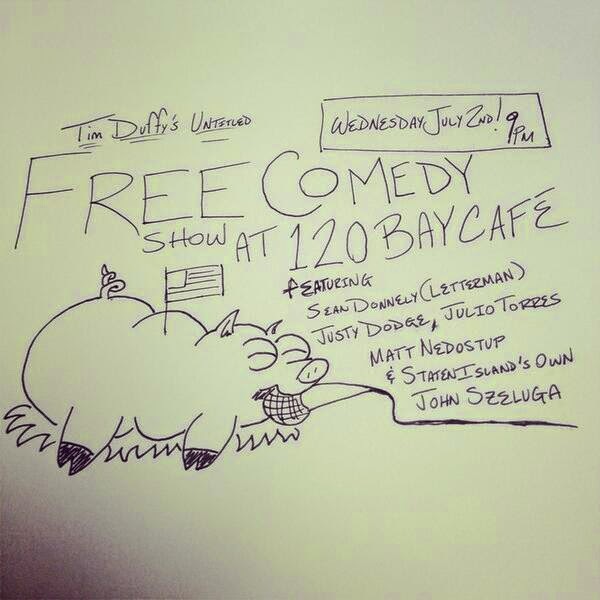 This show is free and happens the first Wednesday of every month at 120 Bay Cafe, 120 Bay Street, Staten Island, NY. I'll be performing along with Sean Donnelly, Justy Dodge, Julio Tores, and Matt Nedostup. By the way, the newest episode of the Super Live Adventure Podcast is up on SuperLiveAdventure.com, iTunes and Stitcher (all free). If you like the show, please leave a review on iTunes. Comedians and friends Aaron Glaser (The Wolf of Wall Street) and Lukas Kaiser (Spike) are each performing 30 minutes of stand up comedy tonight, Saturday, June 28th at 9pm. The show is free and there will be TONS OF FREE BEER and snacks. Aaron & Lukas are both working on always-morphing shows that are inspired by each new audience they perform in front of, so come to it. 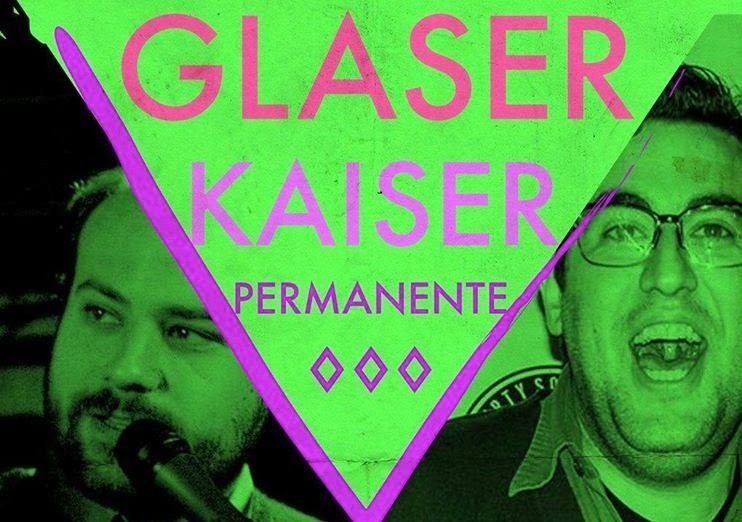 There should be enough space for everybody, but for guaranteed entry, email LUKASKAISER@GMAIL.COM with the subject PERMANENTE JUNE. BRIT PACK THEATER - 153 LAFAYETTE Street, 3RD FLOOR, NYC - near Canal Street in Chinatown. 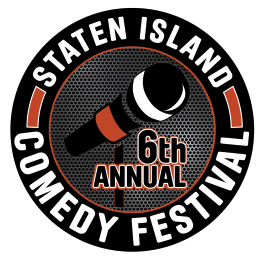 The Staten Island Comedy Festival is back! OutFront Artists presents Manor House Monday to benefit the American Cancer Society! The evening starts with a live recording of the Super Live Adventure Podcast, followed by the stand-up comedy of John Szeluga (that's me), Pete Michaels, Tony DaBoss, Manny Rondon, Sue Golden, and Joe Naimoli. For tickets, visit https://nightout.com/events/manorhousejune9th/#.U3t7uIVhVJk and use promo code "JOHN" to save $5.